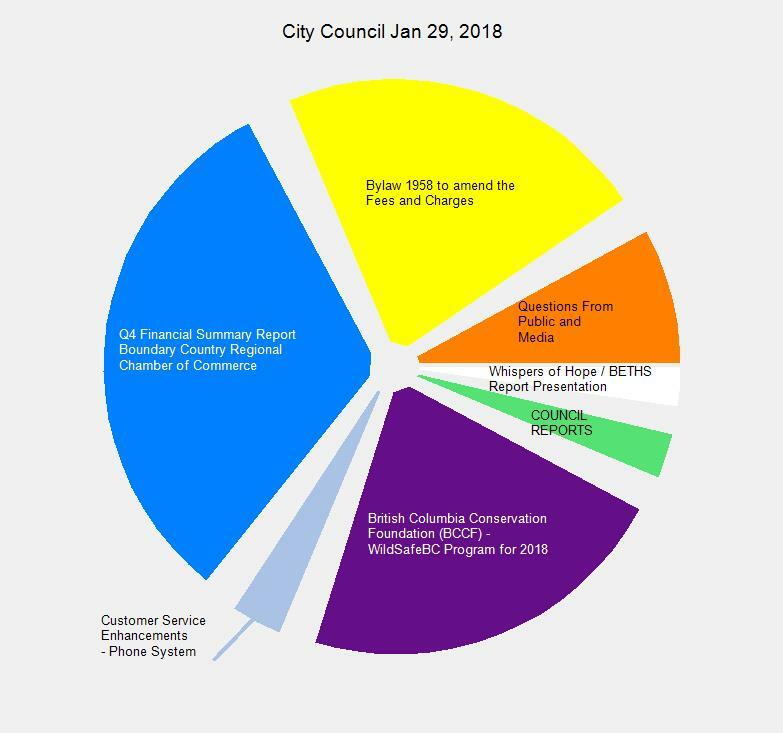 This entry was posted in City, government and tagged BETHS, Bylaw 1606-A6, Bylaw 1958, Bylaw 1973-A1, Bylaw 1974, city council, Whispers of Hope, WildSafeBC on January 31, 2018 by gftvboss. Further to the media release on 2018-01-22 in regards to several break and enters, theft of mail, possession of property obtained by crime, the Grands Forks RCMP are advising that numerous criminal charges have been laid against both suspects. One suspect remains in custody, one was released on court documents to appear in Court in Grand Forks at a later date. RCMP members, including the Forensic Identification Section, continue to process several hundred exhibits and RCMP have already returned some property to it’s rightful owners. The investigation is on-going and RCMP will be seeking additional charges where appropriate. It is believed the suspects are responsible for other offences in Cranbrook, Nelson and Castlegar. Please do not attend the Detachment to enquire if we have your items, we are in the process of contacting the owners of the property we have recovered. As this is an active criminal investigation, the property will be returned as soon as we possibly can. The Grand Forks RCMP are working with Canada Post in regards to the return of the stolen mail. Acting on a complaint from citizens of Christina Lake members of Grand Forks RCMP responded to a theft in progress from some Canada Post mailboxes. While members were responding to Christina Lake they were able to intercept the suspects in a Dodge truck. Two males have been taken into custody. The Grand Forks RCMP were able to recover extensive amounts of suspected stolen property including a 2014 Dodge pickup. The investigation is well underway, with members trying to identify who owns the recovered property. Numerous Break and Enters to sheds and additional thefts from Canada Post mailboxes were subsequently discovered in Christina Lake. The Grand Forks RCMP believe these crimes can be associated to the two suspects that are currently in custody. Members from West Kootenay traffic services and the Forensic Identification section are assisting the Grand Forks RCMP with the investigation. The Grand Forks RCMP are recommending numerous charges of Possession of Property Obtained by Crime, Break and Enter and additional offences. One of the suspects had an active warrant for his arrest out of Cranbrook. This entry was posted in Christina Lake, Crime and tagged Canada Post, crime, mail, RCMP, theft on January 23, 2018 by gftvboss. Last January Women all over marched in reaction to statements and actions by US President Trump. Even in our small town they marched. A year later the movement continues with an anniversary march on the anniversary of his inauguration. Even here. This entry was posted in special events, Whats Up In GF and tagged Trump, women.march on January 23, 2018 by gftvboss. Who remembers the Mayors words better during Jan 15 COTW? Who remembers the Mayor’s words better during Jan 15 COTW – me or him? During the Jan 16, 2018 Committee Of The Whole meeting I, Les Johnson, stood and made comments to council during discussion of the fate of Whispers Of Hope. The Mayor said he didn’t think he had said that . . . turns out he is correct and my memory is off. But not by much – judge for yourself. So Mr. Mayor, I, Les Johnson, apologize for ‘putting words in your mouth’. But I do think that the interpretation of my memory of your words hits closer to what you actually said than your memory of your words did. This entry was posted in Editorial and tagged mayor on January 19, 2018 by gftvboss.